If your skin is heavily "spotted" with moles, you might want to see a dermatologist about annual checkups, and be sure to examine yourself in the mirror once a month. Growing up, I was always curious about the numerous brown spots that covered my skin. 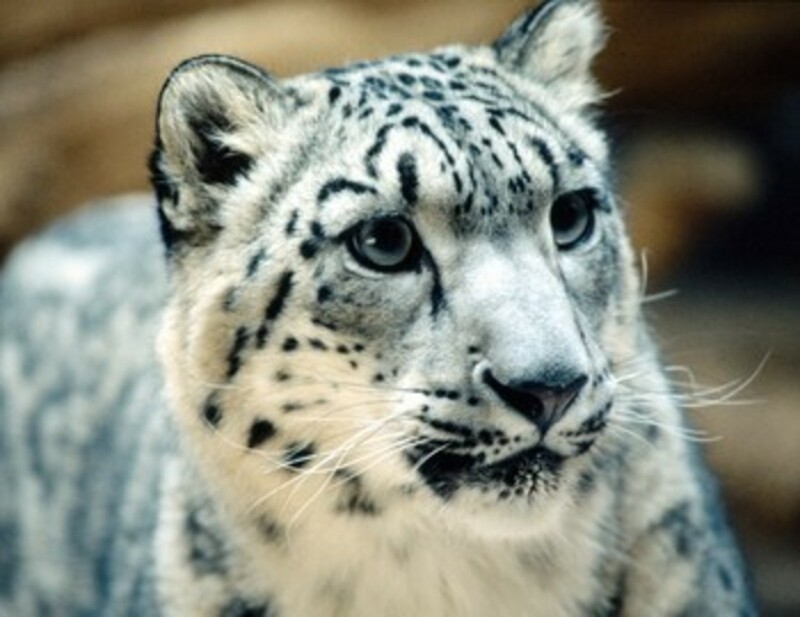 Pale, but "freckly," according to my classmates, I looked a bit like a dalmatian or a snow leopard. While my mother taught me that these spots were called moles and were part of what made me unique, by the time prom came around, my low-backed dress prompted Dad to ask if I'd ever thought about having "those things" removed. Since each of my "spots" was fairly flat, and none of them were much wider than a pencil eraser, my grandma assured me that they weren't a cosmetic concern-- but they might someday become a health issue. My grandpa had previously had a few melanoma spots removed from his face many years ago, so my paleness, combined with the moles and family history, made me a prime candidate for skin cancer. I started seeing a dermatologist once a year to help monitor any changes in the moles. The fateful day came sometime around last Christmas. Performing my monthly self-examination, I noticed a suspicious-looking mole on my back. While most of the "spots" back there are pretty large (My dermatologist told me to pay special attention to any moles wider in diameter than a pencil eraser. ), this one had a blurry, uneven border. After a nervous talk with my boyfriend, I called my dermatologist to make an appointment as soon as possible. A week later, as I sat on the examination table, Dr. B. was telling me that my mole did indeed look suspicious, and he would have to remove it right away to have the skin tested for cancer. Having undergone regular checkups for eight years without incident, this surprised me. Even if he did find something odd-looking, I didn't expect him to remove it immediately, rather than making a followup appointment to handle the problem. Apparently, this was urgent. I called my grandma in to hold my hand. Thankfully, the procedure to remove the mole was almost entirely painless... and I am terrified even of vaccinations. Since my dermatologist needed a usable skin sample, he used a razor rather than freezing the mole with liquid nitrogen. Needless to say, I found the sharp implements intimidating. However, my doctor was very careful. First, he sterilized the area, then sprayed some kind of cooling solution onto the skin to numb it. After that, I barely felt the needle used to completely numb the skin, and the sensation of the razor shaving the mole from my back was so imperceptible that I had to be told when he was finished. Afterwards, antibiotic ointment and a band-aid were applied, and I was told that I would have results back from the test in approximately two weeks. Honestly, the worst part of the whole procedure was the waiting that followed. My dermatologist gave me no assurance that this was "just a precaution," so I had no idea what to expect from the results; I braced myself for the possibility that I might have cancer at the age of 22, and kicked myself for not wearing sunscreen more often before the suspicious mole appeared. In addition to being nervous, the wound from the biopsy itched. A lot. This is something I hadn't been expecting. My wound was just a small raw spot, about the size of a dime, and for maybe two days, it stung very mildly. I was told to replace the band-aid and apply antibiotic lotion with a q-tip daily to keep the area clean and help it heal. Here, I was very lucky to have my boyfriend around to help, since the spot was difficult to reach. The itching started almost as soon as the stinging disappeared, and according to a quick Google search, it meant that the wound was healing, but it made it very difficult not to scratch the area and make things worse. Finally, after waiting what seemed like an eternity for results, I finally called the dermatologist's office to see if the biopsy results had come in. Thankfully, I had a clean bill of health; my notice of this had simply been lost in the mail! Having experienced a bit of a scare, I understand more than ever the importance of knowing the signs of melonoma, performing self-examinations, and having professional check-ups regularly. According to the Skin Cancer Foundation, skin cancer is the most common form of cancer in the United States, and "Over the past 31 years, more people have had skin cancer than all other cancers combined." Although it is the rarest form of skin cancer, melanoma is also the most deadly. If caught early, before penetrating beneath the skin, the survival rate is 99 percent. If caught in an advanced stage, this number drops to 15 percent. This is why it is very important to know your skin and to watch it for changes! A great mnemonic device for remembering what suspicious signs to look for is to watch out for the "ABCs." In general, moles should be fairly round, with the color and shape the same on both sides. If one side is raised more than the other, is a different color, contains a dark spot, or has a differently shaped border, let your dermatologist know right away. 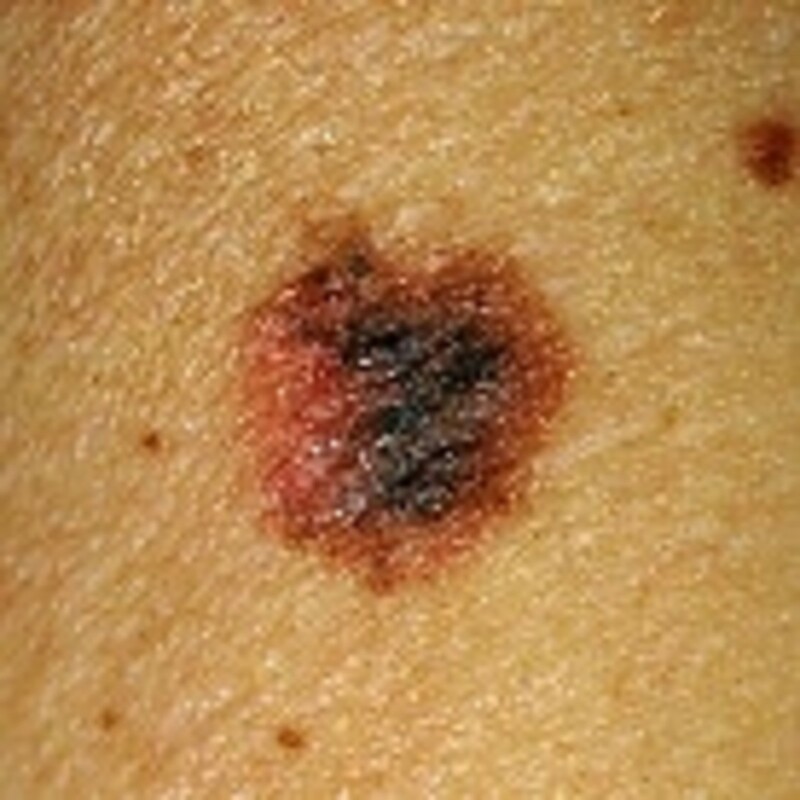 This is a possible warning sign for melanoma. Another sign of melanoma is an uneven border. This was the warning sign I saw in my own suspicious mole. If the edge of one of your moles is jagged, blurry, or otherwise ill-defined be sure to contact your dermatologist. 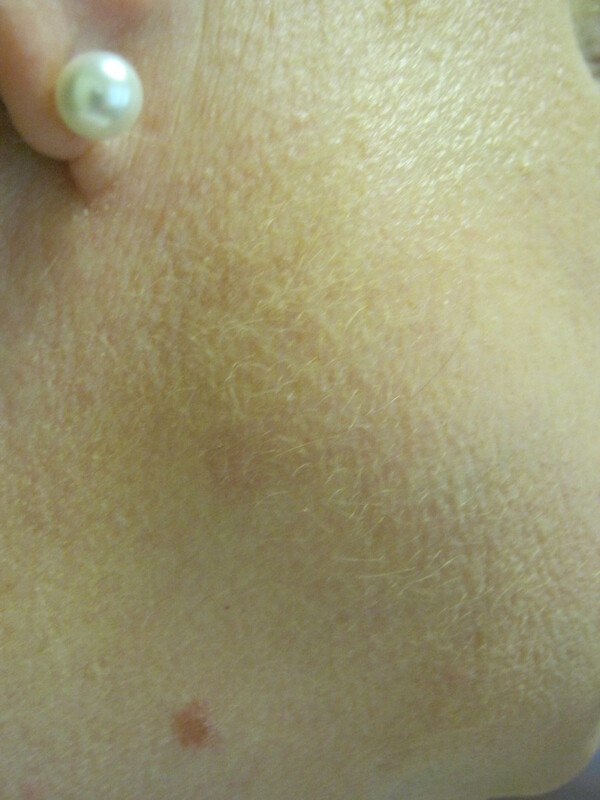 Another sign of melanoma is uneven or unusual coloration. 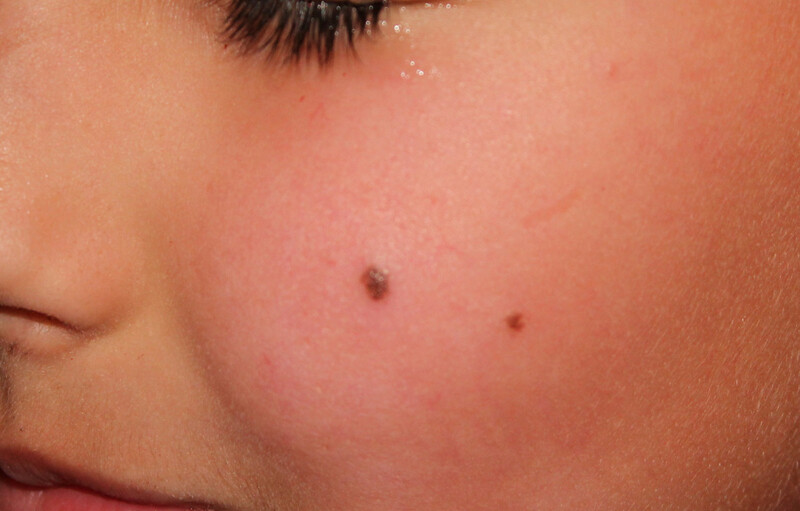 Call your doctor if you notice a mole with a "patchwork" appearance, including different colors such as multiple shades of brown, tan, red, black, or blue. The final sign is diameter. Let your dermatologist know if you have any moles larger than 6mm in diameter-- about the size of a pencil eraser. 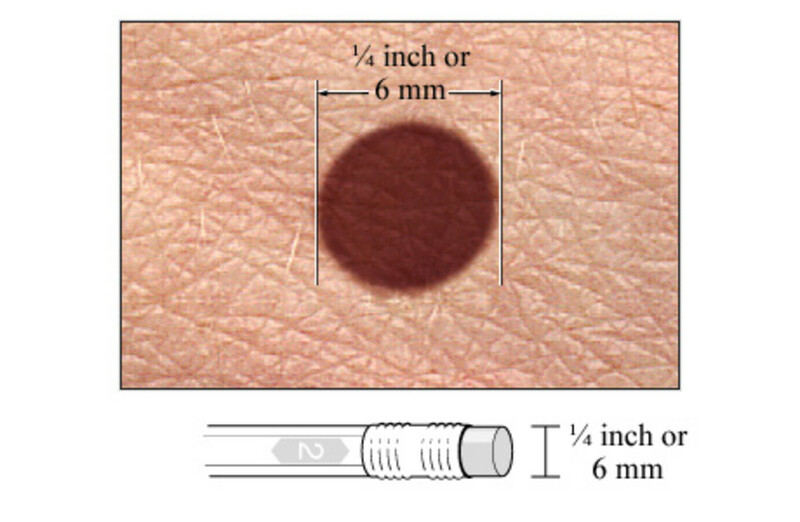 Many of my moles are this size, and although it doesn't necessarily mean that they're all melanomas, it is one important reason that I have annual checkups. Beyond simply large moles, be aware of growing moles. Any change in size, border, or color is worth noting to your doctor. As mentioned under the letter "D," see your doctor if you have a growing mole. "Growth" includes an increase height from the skin's surface. Additionally, track any changes or "evolution" of your moles over time. Differences over time should be reported to your doctor. If a mole itches, hurts, or bleeds easily, see your doctor as soon as possible. 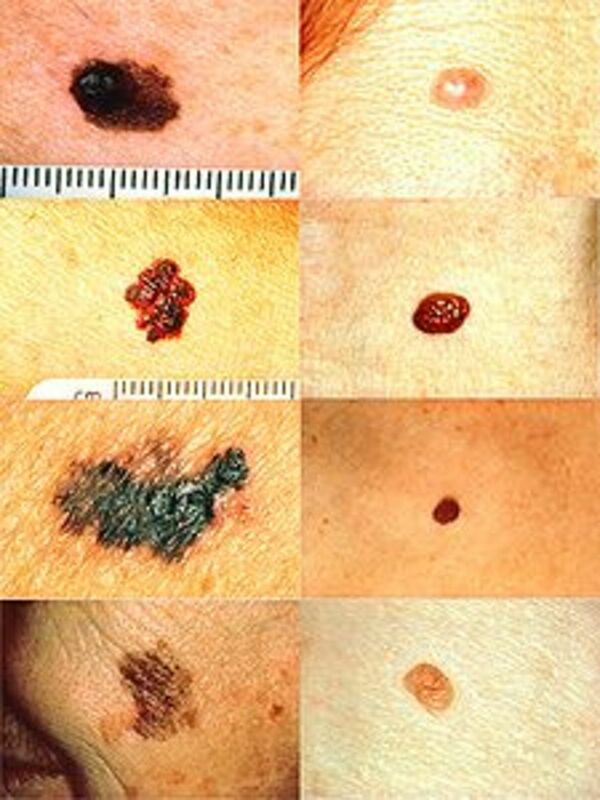 These could be signs of melanoma. 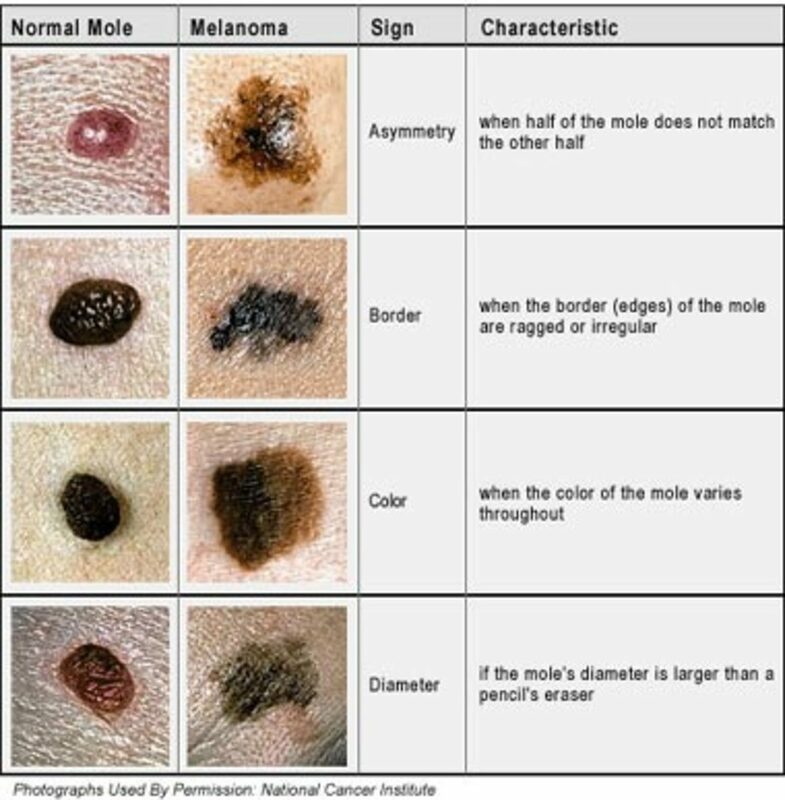 Additionally, if you are under the age of 18 with more than 50 moles, or over the age of 18 with more than 100 moles, your chances of developing melanoma are somewhat higher. Be sure to watch your skin for warning signs and changes. Nodular melanoma is a serious, quickly spreading form of melanoma with its own warning signs. "E" stands for "elevated," "F" is "firm to the touch," and "G" is "growing over the course of more than a month." 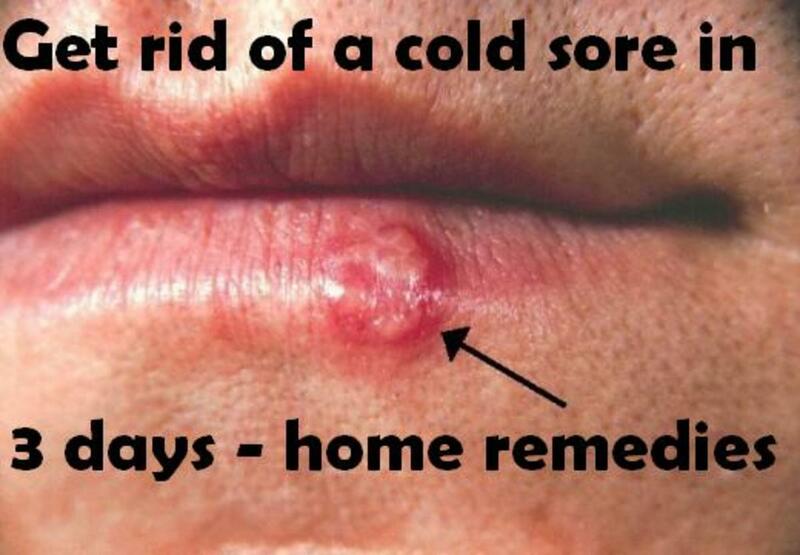 If you notice any of these signs, be sure to talk to your dermatologist. While its easy to feel overwhelmed or even paranoid when examining your skin for signs of change, awareness and communication with your doctor could one day save your life. Caught early, melanoma is a very treatable cancer. In addition to monthly self-examinations and annual dermatologist visits, you can decrease your risk of melanoma by protecting your skin from the sun. Wearing a daily moisturizer with SPF 30 or higher, seeking shade when outdoors, and limiting outside activities between 10 AM and 4 PM can help reduce your risk. You can also try dressing for sun protection, with wide-brimmed hats, and summer clothing that is loose and comfortable for warm weather, while covering skin to protect it from UV rays. Finally, for those who insist upon a summer tan, sunless tanners or bronzers are a safe alternative to sun bathing and tanning beds. 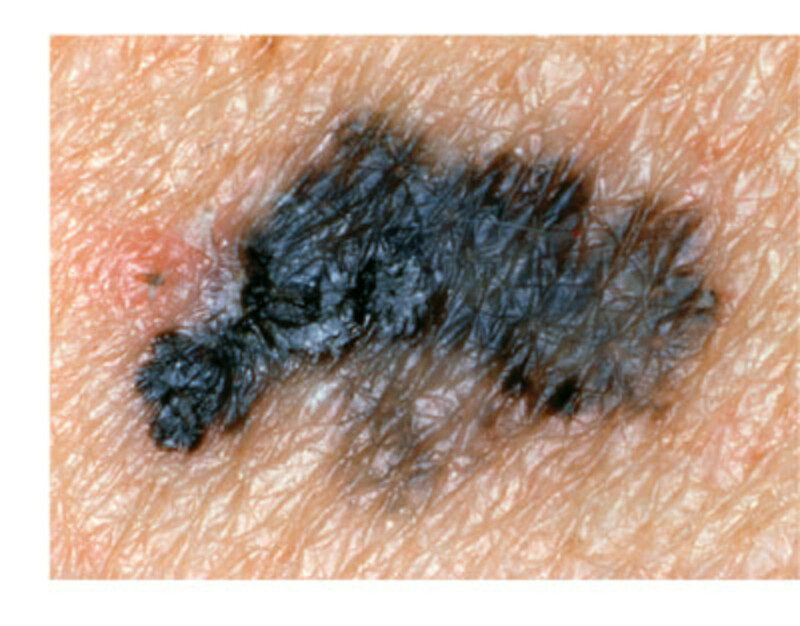 Melanoma is a type of skin cancer. Find skin cancer information and treatment options and how you can prevent the disease. What are malignant moles and how to know if a mole is cancerous or not? How to avoid this scary type of skin cancer? You'll know in this hub about Melanoma...Read on. 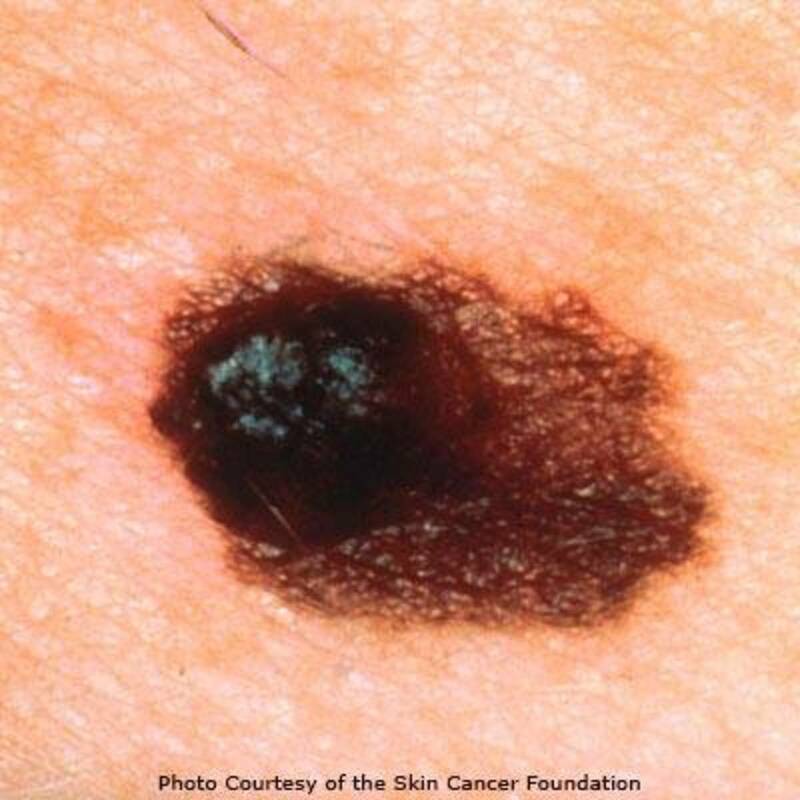 Malignant Melanoma - the mole in the skin! Good hub, with important information! I would, however, strongly encourage everyone to do their research on sunscreens and find one that does not have a ton of harmful chemicals. The chemicals in sunscreen can harm you and provide an environment where otherwise normal cells turn cancerous! For me, smart sun exposure is more important than slathering on chemicals and being in the sun all day. I am planning a hub on safe sun exposure that includes safe exposure times that are specific to your area. Thanks for reading, rebekahELLE and jpcmc! It's a subject I really care about, and I agree with everything you've said about prevention. rebekahELLE: I guess dermatologists who focus on cosmetics are just responding to demand-- since so many people seem to care more about their skin's appearance than their health (as demonstrated by the continuing popularity of tanning beds and sunbathing). With skin cancer on the rise, hopefully more awareness will lead to more responsible priorities on the part of doctors and patients. I like your melanoma alphabet. It is really important to act immediately before things get worse. Well written, and so important! I'm also fair skinned and live in Florida. Sun screen is part of my daily routine. Finding a good dermatologist who is more focused on the health of his clients rather than the cosmetic side is worth the search. I'm sure you were so relieved with the results.